I told you about the hundreds of dragonflies that I saw over the weekend but I didn’t realize I caught so many in other photos. I was about to delete these photos but decided to zoom in to see if more were visible. Holy Moly! My new camera (Panasonic Lumix DMC-ZS10) caught so much more than I thought. I just wish you could have seen them in action. I tried to take a movie but, of course, I didn’t read the instructions manual because I assumed (yes, I know) it was just like my older Panasonic Lumix model….. it’s not. And I love it even more! I looked up the symbolic meaning of dragonflies. It is said in some Native American beliefs that dragonflies are a symbol of renewal after a time of great hardship. Yes. I’ve got a little Cherokee in me (spiced with freckles) so I’m sending you all renewing dragonfly wishes. Have you experienced this before on the island? Mating season? I love that shot of the last dragonfly – its amazing!!! So happy that you slow down and capture nature for us all, Pam. That last picture of the dragonfly sitting on the sand/shells is awesome. Put it in your calendar that you’re going to publish that we all will buy! Really. Oh…one more thing…when you click on the last photo and it “blows it up” you can see amazing detail, especially the wings…reminds me of a Tiffany lamp. Maybe that’s where he got his inspiration! I enjoyed funding out the belief about dragonflys. After my Dad passed away, there seemed to always be a large dragonfly hanging around the patio. We were convinced it was Dad. Love all the dragonfly photos. I followed one around my garden over the weekend, but he would not sit still and pose for a photo. Besides their beauty, there’s another reason to like dragonflies: they eat mosquitos and noseeums! A Dragonfly among the shells; Simply Sanibel!! Love it! Looks like the Sanibel skies are filled with helicopters !!! Beautiful pictures Pam !!! The Legend of the Dragonfly as written by Melanie Powers who was killed by a drunk driver. Her goal at 12 was to become a guardian angel. So all those dragonflies are our guardian angels…..we saw this phenomenon here in NW Wisconsin this year with hundreds of dragonflies swarming. It is a sight to behold. Great story! It gave me goosebumples. Marcia Rowland really has a fantastic idea, Pam. Everyone would buy a calendar! I know I’d buy several for gifts! Please consider it! I’ll be looking for you on the beach this weekend, when i’m not looking for the Sanibel 6! Hope I get to meet you someday! Thanks for always making my day! 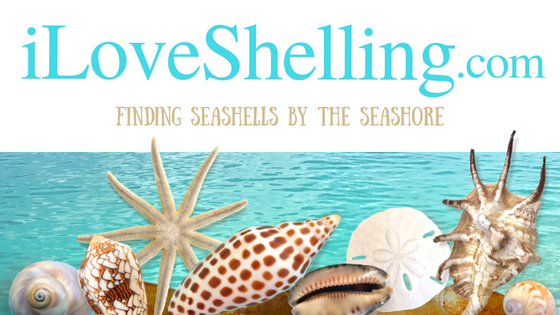 I was thinking she should make iloveshelling beach towels! Those dragonflies are so amazing! (from another part Cherokee with freckles). I love it!!! Bye-bye mosquito’s and no-seeum’s!!! I love dragonflies! They come down for a sip of water in the pool when I’m in it. Gorgeous creatures. Love the dragonfly photos!!! They’re so cool when they swarm (especially since they EAT mosquitoes!!!). Keep up the great work Pam… you make me feel like I’m right out there with ya when I’m actually at my office taking a quick break to escape. May I have your permission to use one of your dragonfly images in a blogpost? It’s a poem about thoughts flying like dragonflies. Hi Jyoti, Thanks for liking my photo and Yes, you can use it if you please credit the photo to iLoveShelling.com with a link to the post.